Oslo is an important centre of maritime knowledge in Europe and is home to approximately 1980 companies and 8,500 employees within the maritime sector, some of which are the world’s largest shipping companies, shipbrokers, and insurance brokers. Det Norske Veritas, headquartered at Høvik outside Oslo, is one of the three major maritime classification societies in the world, with 16.5% of the world fleet to class in its register. 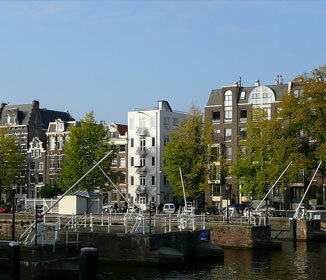 The city’s port is the largest general cargo port in the country and its leading passenger gateway. Close to 6,000 ships dock at the Port of Oslo annually with a total of 6 million tonnes of cargo and over five million passengers. The gross domestic product of Oslo totalled NOK268.047 billion (€33.876 billion) in 2003, which amounted to 17% of the national GDP. This compares with NOK165.915 billion (€20.968 billion) in 1995. The metropolitan area, bar Moss and Drammen, contributed 25% of the national GDP in 2003 and was also responsible for more than one quarter of tax revenues. In comparison, total tax revenues from the oil and gas industry on the Norwegian Continental Shelf amounted to about 16%. Oslo is one of the most expensive cities in the world. As of 2006, it is ranked tenth according to the Worldwide Cost of Living Survey provided by Mercer Human Resource Consulting and first according to the Economist Intelligence Unit. The reason for this discrepancy is that the EIU omits certain factors from its final index calculation, most notably housing. Although Oslo does have the most expensive housing market in Norway, it is comparably cheaper than other cities on the list in that regard. Meanwhile, prices on goods and services remain some of the highest of any city. Oslo hosts 2654 of the largest companies in Norway. 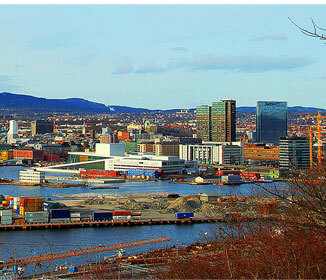 Within the ranking of Europe’s largest cities ordered by their number of companies Oslo is in fifth position. A whole group of oil and gas companies is situated in Oslo. According to a report compiled by Swiss bank UBS in the month of August 2006, Oslo and London were the world’s most expensive cities. Copyright © 2011 oslooperahouse.com. All rights reserved. oslooperahouse.com is a private website providing information about the new Oslo Opera House building in English, for English readers. For the official "Operaen" information, see www.operaen.no (mostly in Norwegian language).